chashu was excellent this evening. 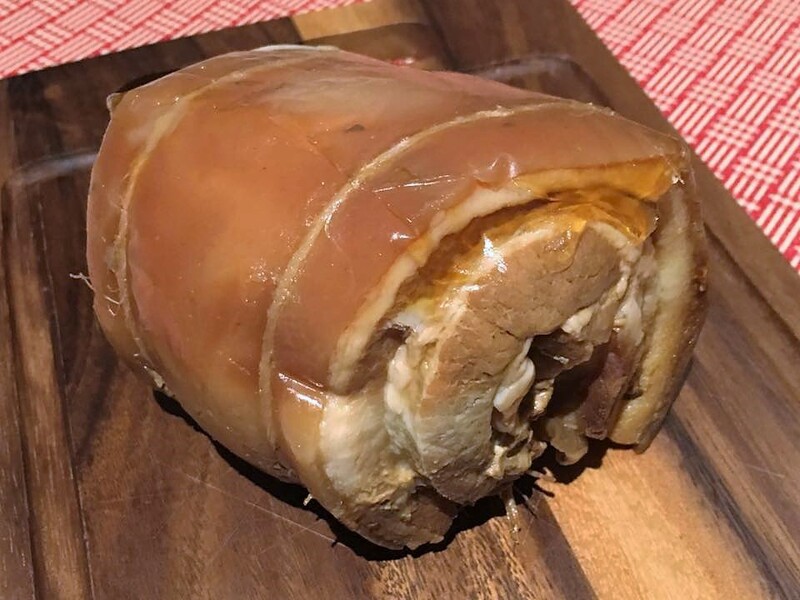 i used the http://www.seriouseats.com method for chashu pork = 3.5hrs in 130degC oven, then kept in fridge overnight. in a way it was the first time i did with an entire 1 kg slab. and it made a subtle difference that the slab was fully rolled with only skin outside instead of having one whole side w/o skin exposed for the 3.5hrs. i did nice japanese chashu before (like above photo). the texture was perfect, tender still crystalline. the ends were a bit frayed but it was still good. son said it tasted less porky that it should be. i think that partly because of the japanese marinade mirin, tsuyu etc not the teochew type braise. the tip in this preparation is to place the chashu in the chiller for 4-5hrs or overnight. the skin and meat were very tender & delicious, but cutting it when hot would cause the belly pork to fray & disintegrate. chilling it enables one to slice the belly pork in thin slices easily, great for presentation and looked appetizing. 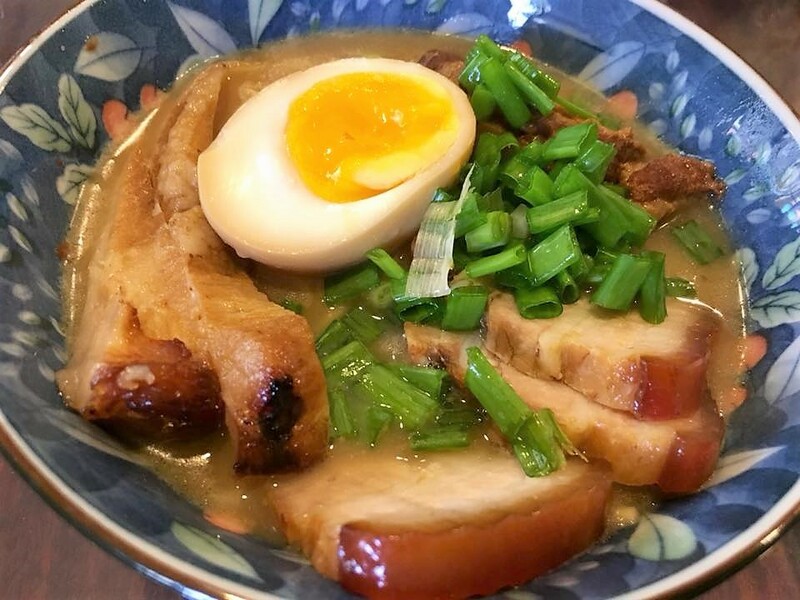 for serving, sliced chashu can be served on hot ramen, warmed in a plate over cooked sushi rice, served with a boiling sauce as dip or drizzled over. wife’s friends actually enjoyed it as it was. i used the usual method for jap chashu by seriouseats.com. then kept in fridge overnight. boil 1kg slab belly pork for few minutes to remove scum, washed thoroughly and dry. let it cool. remove the belly pork roll and place in a double ziploc bag in the chiller for 4-5hrs overnight. when serving, slice the belly pork in thin slices cleanly with a sharp knife. 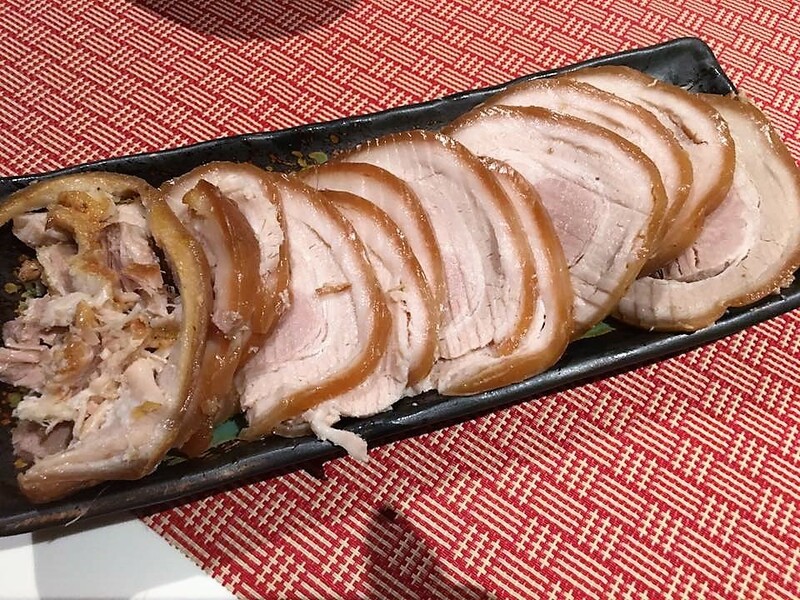 sliced chashu can be served on hot ramen, warmed in a plate over cooked sushi rice, served with a boiling sauce as dip or drizzled over.